Lumina Pumpkin | Gurney's Seed & Nursery Co. 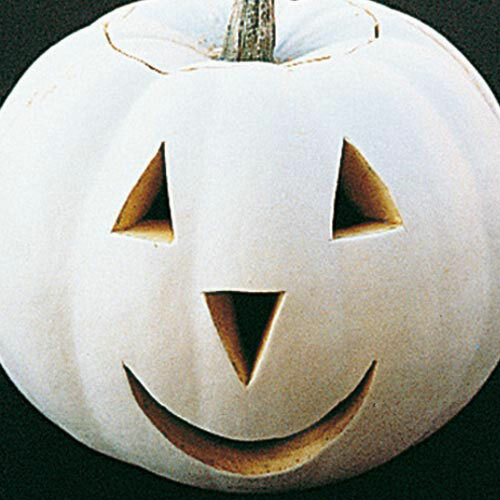 Novelty pumpkin is perfect for carving, painting and decorating. Mid-size fruits grow 8-10 in. tall,weigh up to 12 lbs. Smooth and pure white outside;all fine-grained orange flesh inside. 95 DAYS. Spread12 - 15 foot vine. Spacing2 - 3 seeds per hill, 5 - 8 feet between hills. Fruit8 - 10 inches, approximately 12 pound fruit. Seed CountApproxixmately 15 seeds per packet. CommentsNovelty pumpkin is perfect for carving, painting and decorarting. Mid-sized fruits grow 8-10 inches tall, weigh up to 12 lbs. Smooth and pure white outside, all fine-grained orange flesh inside. Yield5 - 8 fruits per vine.